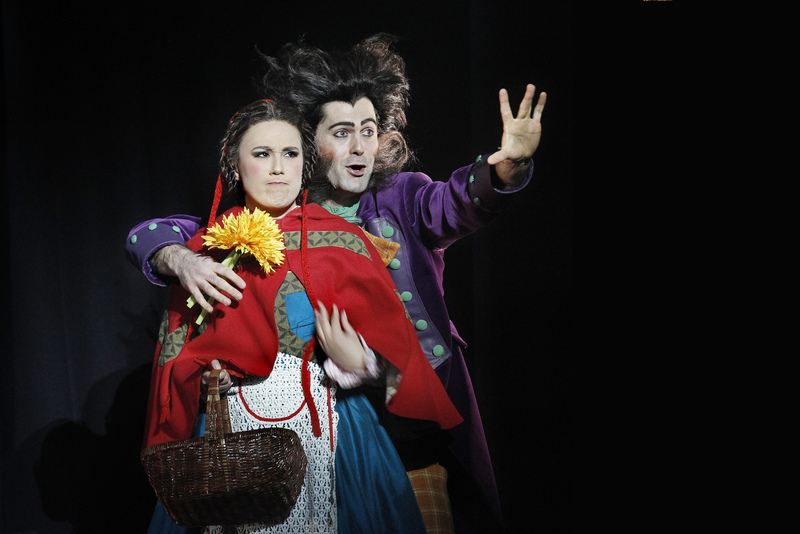 A terrific cast and magical production mark the welcome return of treasured music theatre favourite Into the Woods. Such is the quality of the material and staging, and such is the demand for tickets, this could have run for weeks on end rather than just one. Victorian Opera have certainly not skimped on production values in bringing the large cast and full-scale setting to the stage. Special mention in regard to the casting goes to the fact that the eclectic mix of music theatre and opera performers have been cast on talent and suitability rather than high profile and twitter followers. Bravo to director Stuart Maunder and Victorian Opera for following this path. The only downside of a short season like this is the lack of preview performances. 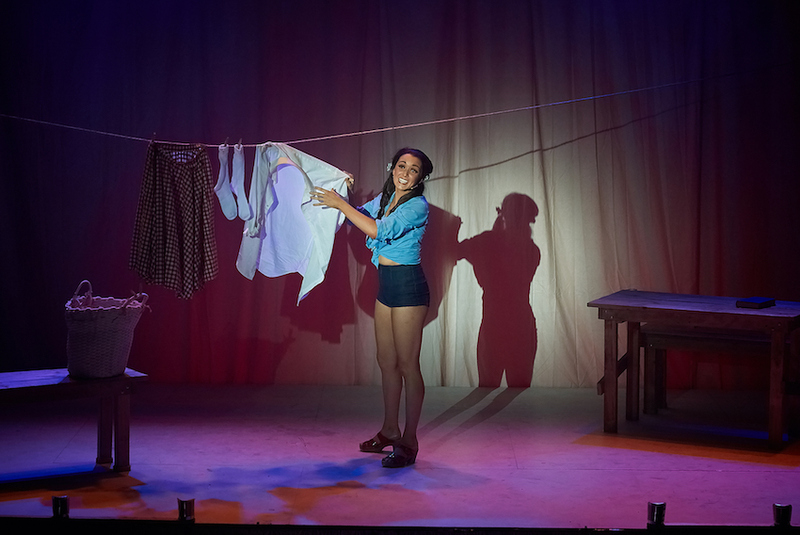 While the cast generally hit their strides from the beginning, opening night was somewhat blemished by a small number of missed lighting and sound cues. 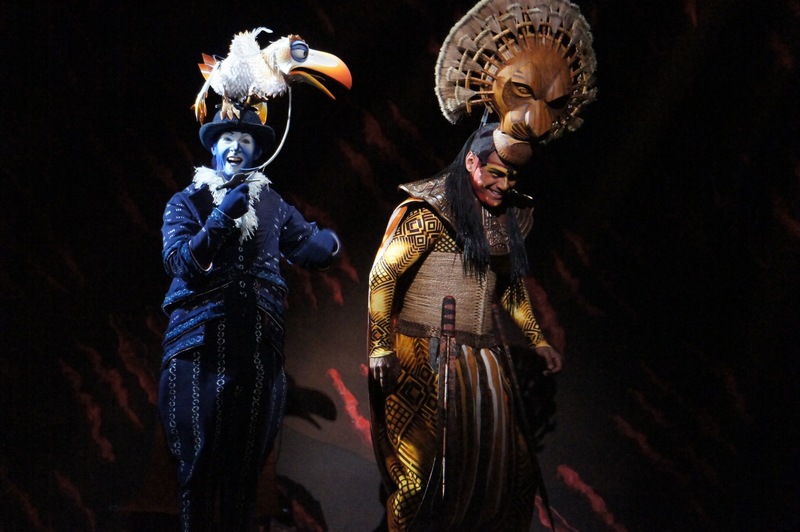 Most were not major, and will surely be ironed out for the next performance, but the missed lighting cue that robbed us of the reveal of the Witch’s transformation was most disappointing. Adam Gardnir’s ingenious set design is a clear highlight of the production. A series of curved, knobbly golden branches glide in and out to create as sense of movement between the flow of scenes. Rather than a plain flat stage, two sets of full-width steps create three distinct zones, allowing characters to wander, spy, eavesdrop, and tumble. (In my favourite use of the steps, Cinderella and the Baker’s Wife sit and sing “A Very Nice Prince” with Baker’s Wife two steps lower, like one of Blair Waldorf’s minions). Wooden floorboards, cut log footlights and the grasping tree of Rapunzel’s tower are other design highlights. The scenery is made all the more interesting by the intricate variations of Philip Lethlean’s dappled, textured lighting. Sound design, by Jim Atkins, is clear and sharp, allowing multiple overlapping lyrics to be heard distinctly. Balance between voices when the full company sings together is flawless. The combined effect of Harriet Oxley’s costumes is pleasing on the eye, and it is clear that massive effort has been expended in their construction. The success of individual costumes, however, is somewhat hit or miss. In the wittiest touch, Cinderella’s stepsisters Florinda and Lucinda go to the King’s Festival looking like they are wearing the festival’s marquees as dresses. 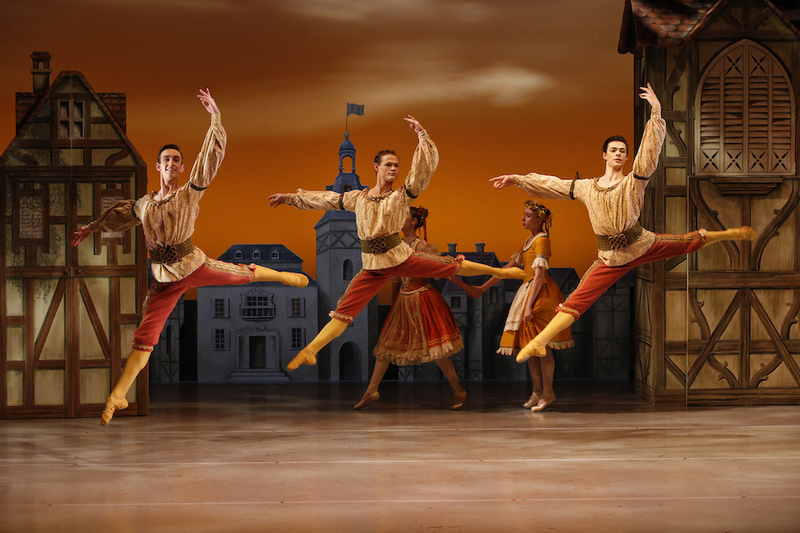 The garish colours choices must be deliberate, but they are jarring on outfits such as those for Cinderella’s Mother, Rapunzel’s Prince and Jack’s Mother’s act two ensemble. 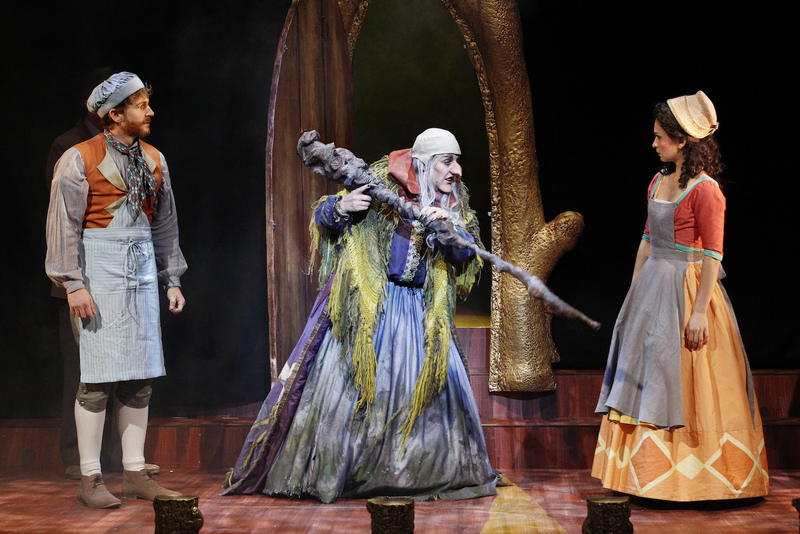 The vibrant colours of the Witch’s dress are weakened by her pale cape and odd stocking sleeves, and Rapunzel and Cinderella lack a distinct focus in their costumes. The Baker and his Wife are neatly matched, and the colours for Cinderella’s Prince evoke Disney’s Beast with a knowing wink. Conductor Benjamin Northey and 13 talented members of Orchestra Victoria manage to make Stephen Sondheim’s music sound effortless. Maunder has expertly guided his cast through the psychological maze of James Lapine’s book and Sondheim’s lyrics. Storytelling and interwoven relationships are clear and convincing, and many moments of delicious humour are expertly realised. As act one’s happy ending promptly unravels in act two, Maunder finds notes of growth and change for the surviving characters. The two strongest roles have been blessed by the casting of a truly wondrous pair of actresses. Queenie van de Zandt blows the audience away from her very first scene as the Witch. In a masterclass that should be taken by performers of all levels of experience, van de Zandt shows how clear diction, elegant expression and underplayed delivery are vastly more entertaining and amusing than belting, mugging and playing for laughs. By turns funny and poignant, van de Zandt deftly engages our affection, eliciting sympathy and understanding for the Witch despite any of her vile, selfish actions. Likewise, Christina O’Neill is in top form as the Baker’s Wife, singing with incredible sweetness and conveying the human essence of the character’s dreams and dilemmas. O’Neill also lands genuine laughs by effortlessly underplaying moments of humour. Lucy Maunder sings, and plays, Cinderella beautifully, defining a strong character arc as Cinderella emerges from the chaos and catastrophe as a mature, grounded young woman. David Harris sings the Baker sweetly, playing the up the gentle, well-meaning side of the character most effectively. Rowan Witt is entirely engaging as good-hearted Jack. 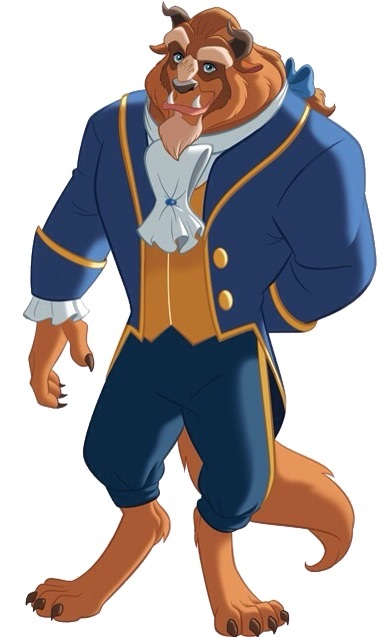 Matthew McFarlane projects a devilish glint as both the lascivious Wolf and Cinderella’s buffoon of a Prince. In an all-too-rare appearance on the music theatre stage, John Diedrich demonstrates the strong, rich voice and impressive presence that made him a star. As the Mysterious Man, Diedrich scores laughs with his broader-than-Bill Hunter Aussie accent. The choice of an Australian accent is not as successful for Josie Lane as Little Red Ridinghood, though there is still plenty to like in her perky performance. 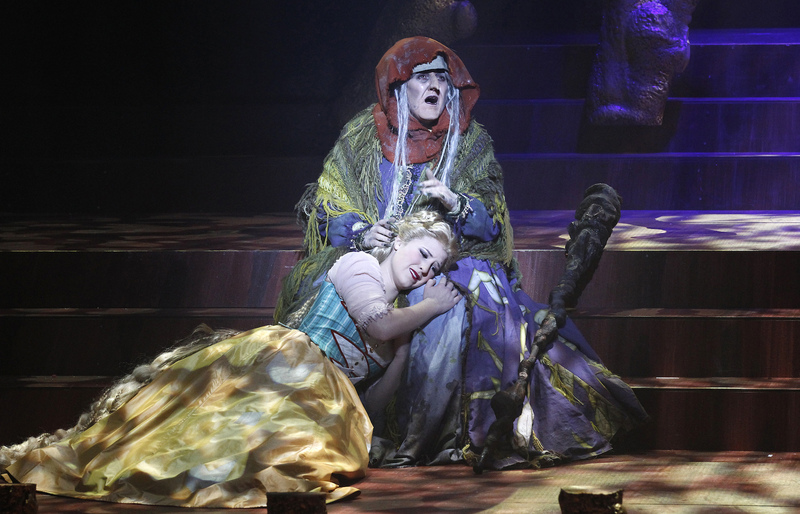 Antoinette Halloran drips venom through hooded eyelids as Cinderella’s fiendishly malevolent Mother. Melissa Langton gives a warm performance as Jack’s anxiously beleaguered Mother. 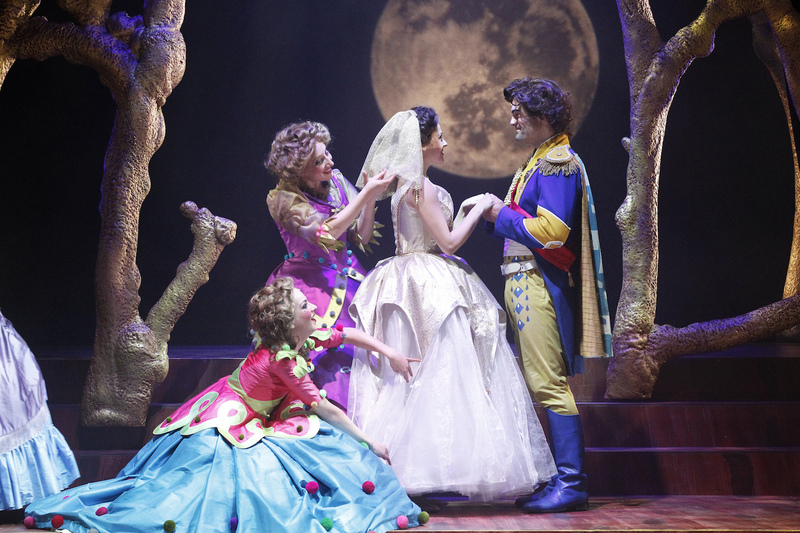 Recent Victorian Opera Young Artists Olivia Cranwell and Jeremy Kleeman excel themselves as Rapunzel and Rapunzel’s Prince. Cranwell sings with affectingly sweet freshness, and Kleeman again demonstrates his flair for characterful comedy as well as his pure baritone voice. Lucky ticket-holders are surely in for a treat this week. For everyone else, be sure to book early when Victorian Opera completes their Sondheim Trilogy in 2015. 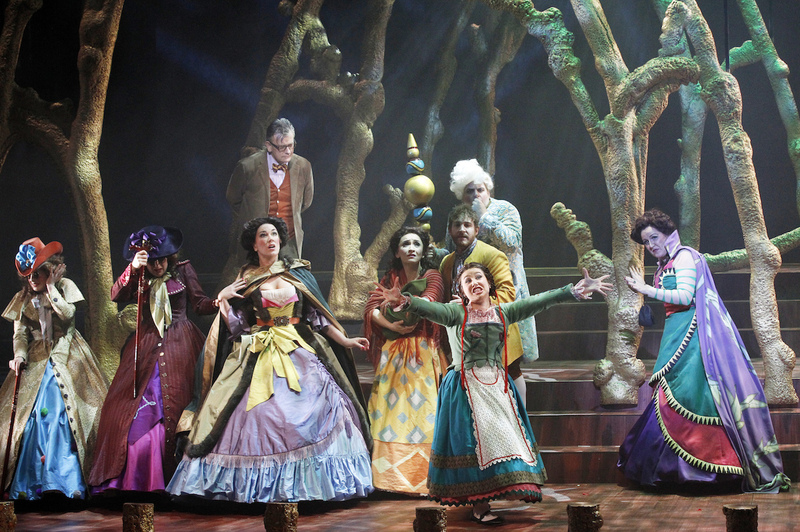 The Into the Woods program can be read online. This reviewed published on Theatre People 20 July 2014. One of my very favorite musicals – I still remember watching the video in high school drama class and marveling at the cleverness of the story line, the music, and the lyrics. This looks like a beautiful production! 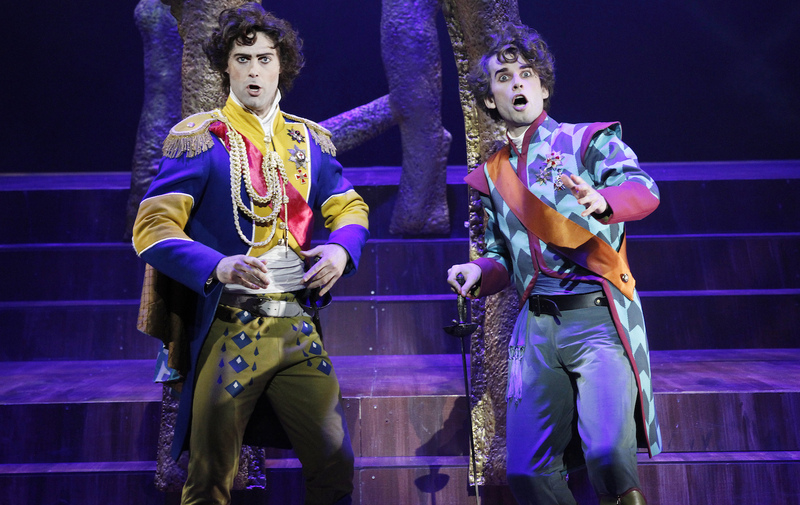 They did a wonderful job of creating a different staging – so many fans know that original dvd! Given that this was staged by an opera company, maybe you will have a chance to do the show yourself one day..